Who doesn’t love pie? But cannabis lovers have a reason to love pie even more, as pie makes the perfect vehicle to carry marijuana butter. Marijuana pies also make awesome edibles because there is a type of pie to appeal to every taste, both sweet and savory. Why you can put most anything in a pie crust! 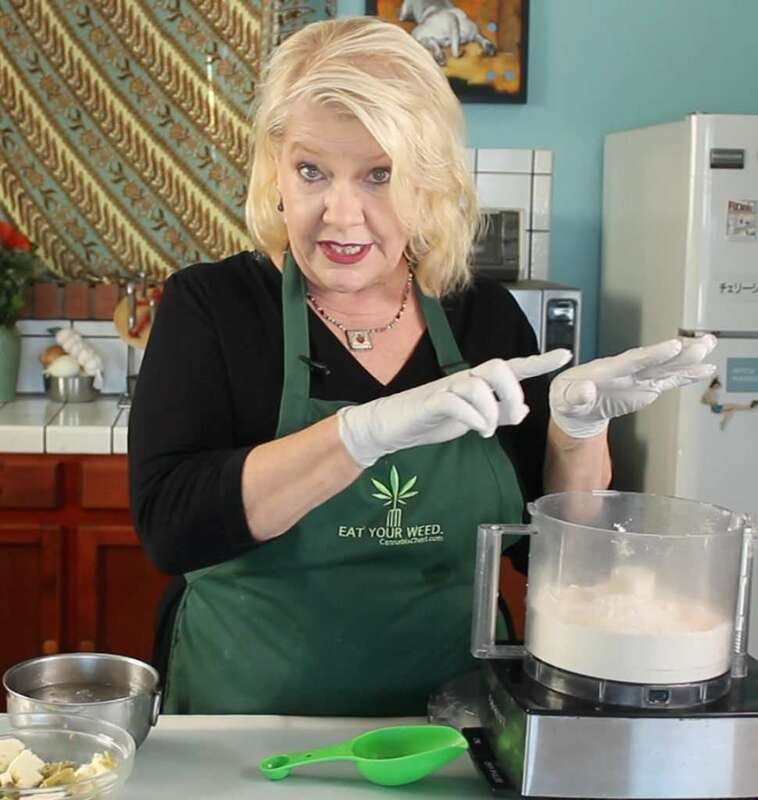 When it comes to making marijuana pies, you have two choices, you can either medicate the filling, or medicate the pie crust. If you want an extra strong edible, you could even opt to medicate both. Now I know a LOT of people are intimidated at the thought of making their own pie crusts. And that’s OK, as I said, you can always medicate the filling and use a store-bought crust for your medicated pies. BUT I want to challenge you, because if you have a food processor, making delicious, flaky pie crust isn’t difficult. And while making your own crust is a bit more work, the texture is superior to store bought. Plus, you won’t find a pie crust medicated with cannabis at the supermarket! I made a series of videos to show just how easy to is to make a medicated pie crust (or even an unmedicated one, just use all butter to make delicious pies for the non-stoners in the crowd). 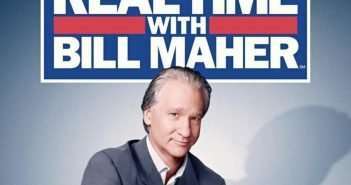 Find the links below. When creating edibles recipes like pies and cakes, I try to make them in individual servings. These foods can taste so good that it’s easy to get carried away and eat too much. That’s not such a big deal in non-medicated foods, but in medibles it can result in a person getting too high. While that’s not inherently dangerous (click here to learn what to do if you someone you know eats too much marijuana), it can be mighty uncomfortable. However, if they have to bite into a whole new pie instead of another slice, most people will think twice about going back for another portion. I’m not sure what the psychology behind it is, but the same principle works for cakes versus cupcakes. My medicated pie crust recipe will make about 16 single crust Mason jar lid pies, or about 8 double crust Mason jar lid pies. But if you prefer, it will also make one large double-crusted pie or two single crust large pies. I used to bake my mini pies in small aluminum pie pans, like I did with my Mini Pumpkin Pie recipe a few years back. However, when I went to re-up my supply this year, I couldn’t find any. Well, I always have lots of handy Mason jars around my house and I vaguely remembered seeing an internet story way back when about baking pies in the jar lids, and voila, the perfect solution. Canning jar lids come in two sizes so you can make mini-pies, or tiny pies that are just one or two bites. The two-part lids, make it easy to remove the pies after baking and cooling, simply carefully push up from the bottom. You can get metal Mason jar lids on the jar when you purchase them new, or just the lids can be purchased separately. After discovering this pie baking technique, I’ll never go back to mini-pie pans again. The jar lids are easier to work with, re-usable, and less expensive. 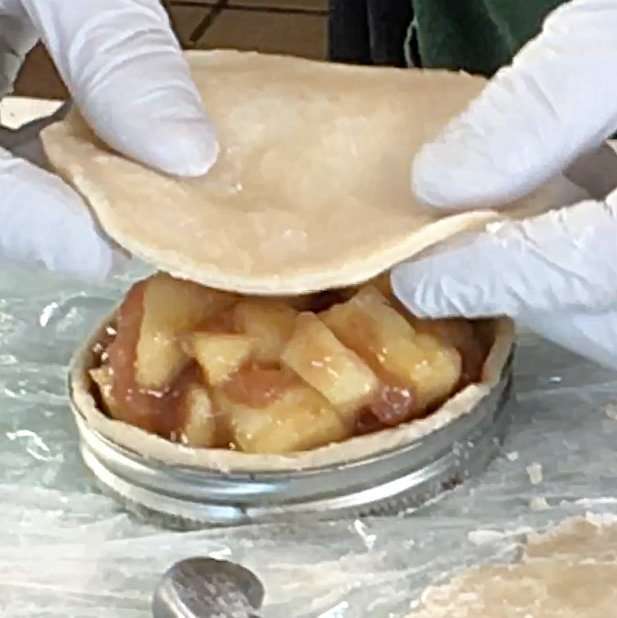 To use a Mason Jar lid as a pie pan, simply take out the bottom and turn it upside down, the opposite way you would use it if you were canning. Now the inside of the lid will be a completely metal surface. Add pie crust, filling, and bake! 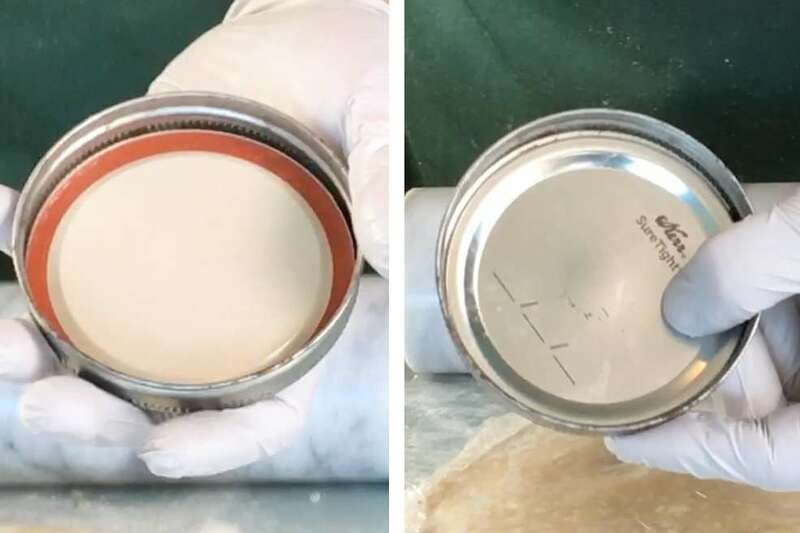 Remember, you are looking for 2-piece, metal canning jar lids, like those used on Mason jars, Ball Jars and other canning jars. Pie crusts make a great medication vehicle, especially for those with high tolerances or who need stronger edibles. There is so much butter involved, you can make them strong AF. 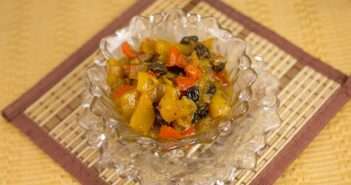 However, those who need more moderate doses can substitute uninfused butter for part of the recipe. For the pie crusts in the video I used 1/2 cup of strongly infused butter. Most people will not want this much, but I was making the pies for a friend who deals with severe chronic pain, and for myself (I have a notorisouly high tolerance). Everyone is different when it comes to marijuana dosing needs, and not just a little different, drastically different. This article can help you determine your ideal dosage range, if you don’t already know it. 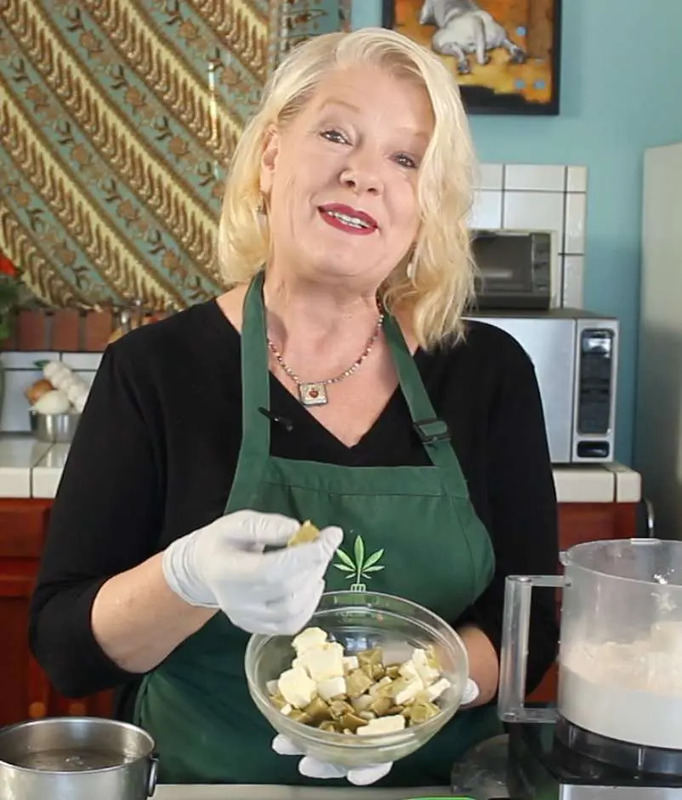 I also encouraged you to play with the dosing calculator, included in my free online Edibles Dosing Class, to adjust the recipe for your individual needs and tolerance. 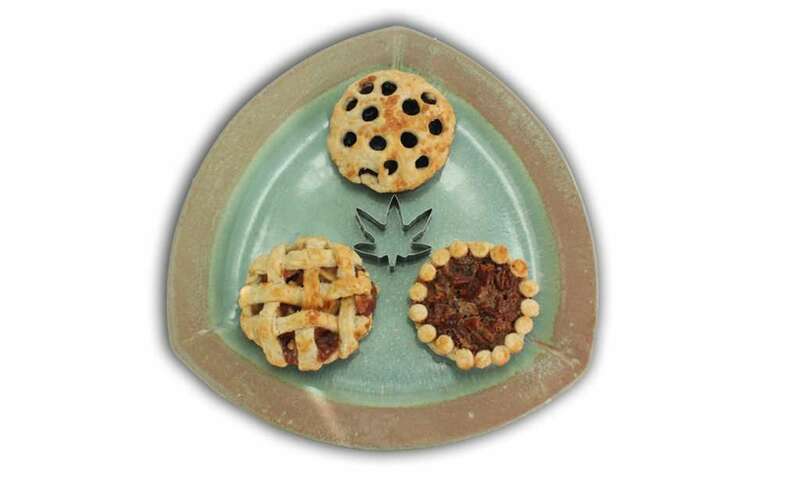 Many marijuana pies freeze quite well, especially unbaked fruit pies like Apple or Blueberry, or nut pies like Pecan Pie. Simply fill, freeze, wrap well, then bake straight out of the freezer for hot medicated pie anytime. Pumpkin pie, unbaked OR already baked, also does well in the freezer, just bring to room temperature and serve. 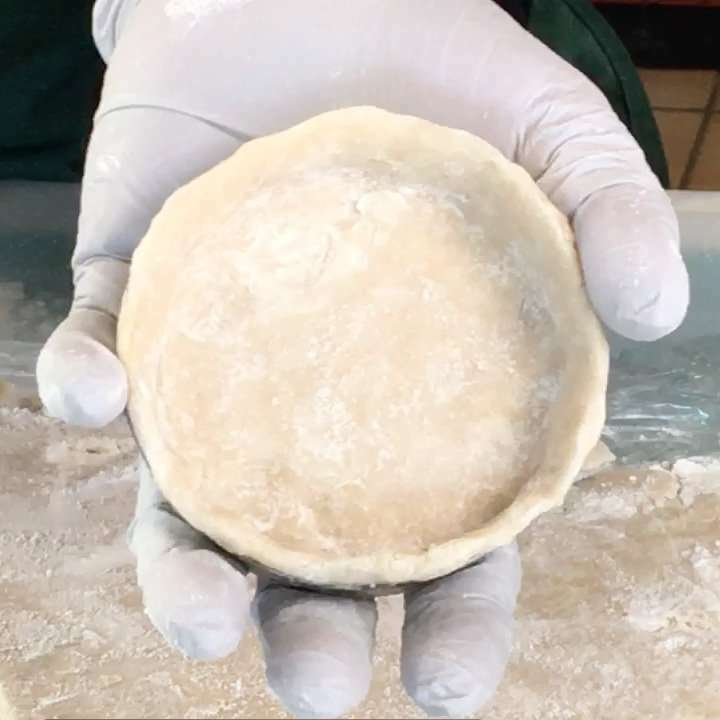 Pie crust freezes well too, whether rolled out and in a pan ready for filling and baking, or in a disc to be rolled and filled later, so you might want to consider making extra to keep on hand for future pie making experiments.